While in Wellington, I got to watch the riders competing at the CPEDI, which is an FEI level Para Dressage competition. The show was three days. I got to see bits and pieces each day. All of the riders handled the atmosphere and ring really well. It was nice to see the level of competition and quality of horses that the para dressage riders have. 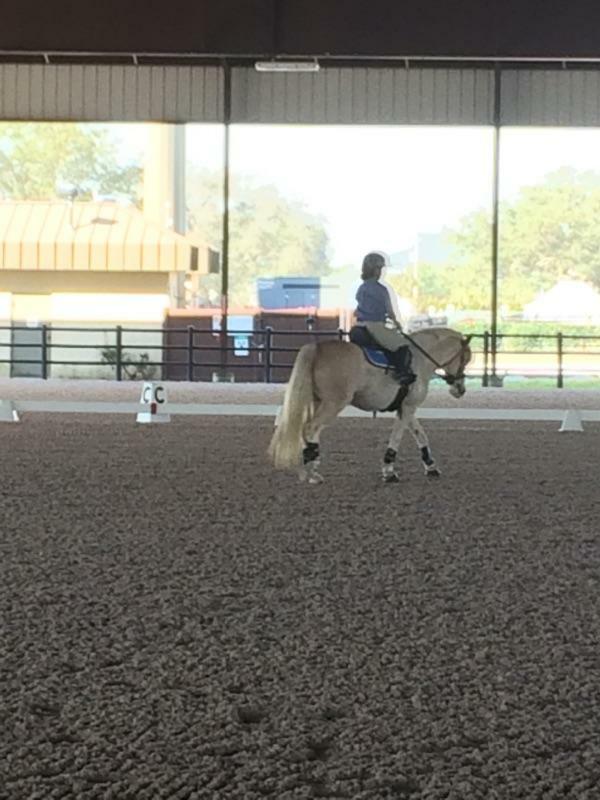 Following the competition, Zoey and I participated in the Para Dressage Symposium. 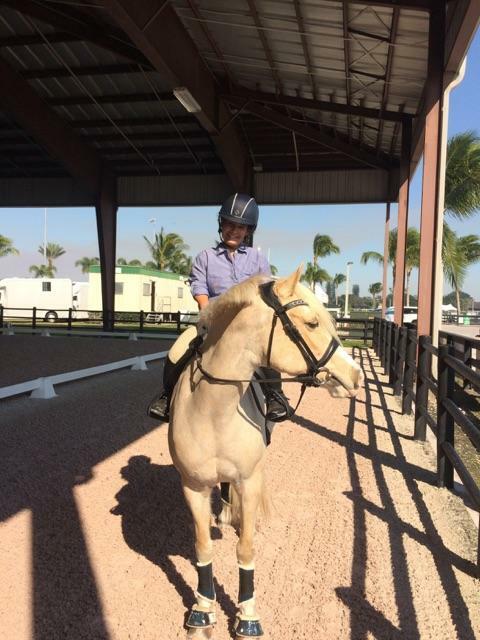 The first day/afternoon of the Para Dressage Symposium consisted of demonstration rides of the new FEI Para Dressage Tests. The riders competing in the show that weekend were the first in the world to ride the new tests. So that is kind of cool. The following day, Zoey and I did not ride until the afternoon, which was a good thing because Miss Zoey had been outside rolling around in black dirt that morning. A storm blew through the previous night, making it super windy as well. Zoey was not amused by her bath. As usual, Zoey was a little bit nervous the first day in a new place for our lesson. We mostly worked on transitions and getting Zoey to pay attention. There were a bunch of vendor tents directly outside the ring that not long ago would have made Zoey very nervous, but now we could actually get over it and get on with our ride. 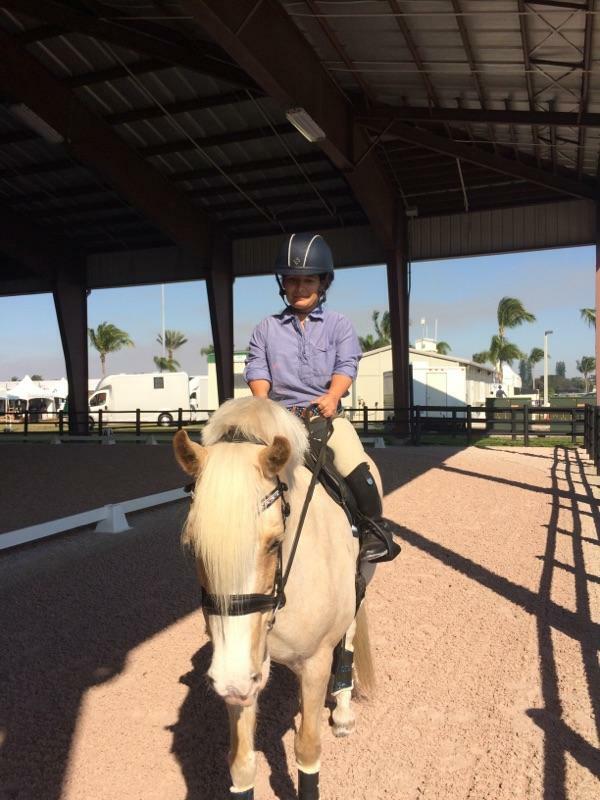 I don’t ride in a regulation size dressage arena very often, so working on my accuracy also helps me immensely. Zoey and I after our ride. As we expected, the second day was much better for Zoey. She was much more relaxed and steady. 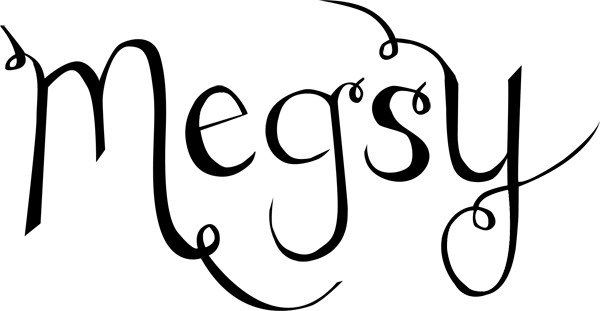 We worked on more from the first day: transitions, different walks, accuracy, etc. Also worked on the best way to shorten my reins without messing up the transition from lengthened walk to medium walk, as it is not always that easy with the loops on my reins. The clinician was very complimentary of Zoey, but obviously we still have tons to work on!